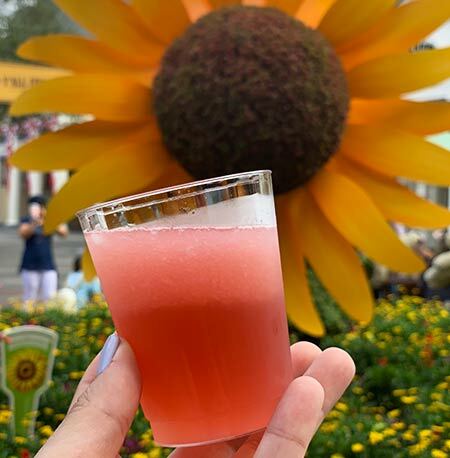 Epcot’s 2019 Flower & Garden Festival is in full bloom, and with it an opportunity to taste limited-release adult beverages. 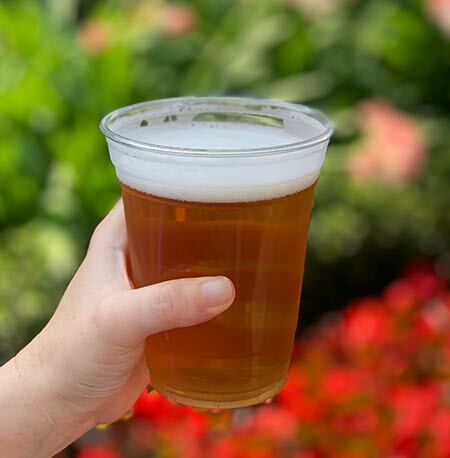 That’s right pals, it’s time to Drink Around the World: Flower & Garden Festival Edition. 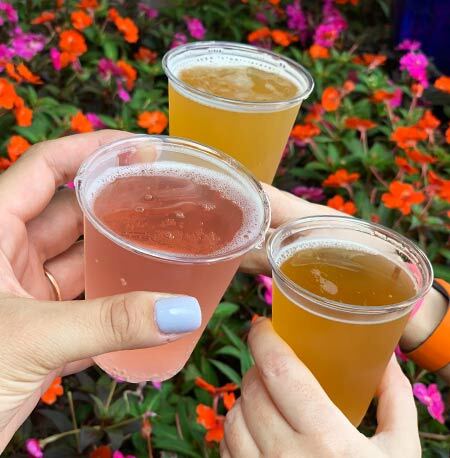 Every Drinking Around the World Adventure begins with a cheers, and we had ours at the Arbor at The Gardeners Terrace. Tasting Report: We’re giving high marks to all three of these drinks. A perfect beginning to a day of Drinking Around the World. La Isla Fresca is a popular spot for good reason, and for us, the reason is the Tropical Freeze. Tasting Report: If you’re a fan of mango, then the Tropical Freeze is for you. We are suckers for a rum drink, and this hit the spot. Stop number three found us ordering from the Lotus House in the China Pavilion. Tasting Report: Top notch libations. 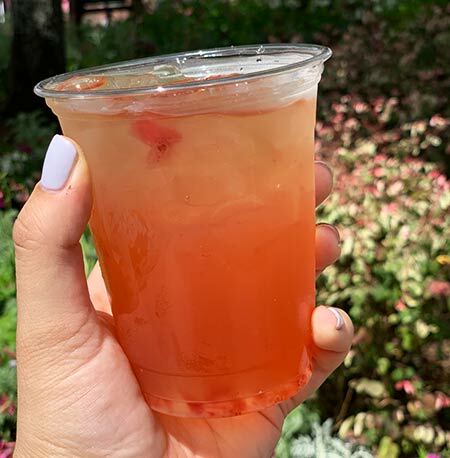 The Kung Fu Punch knocked us out, and the Plum Wine Cooler was a refreshing surprise hit. 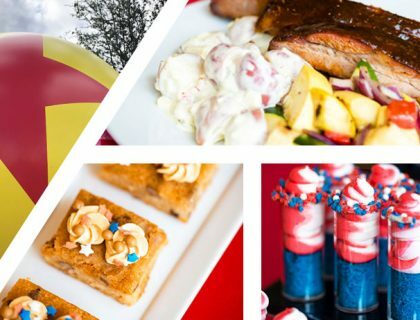 Moonshine and Lemonade greeted us on our arrival at The Smokehouse: Barbecue and Brews at American Adventure. 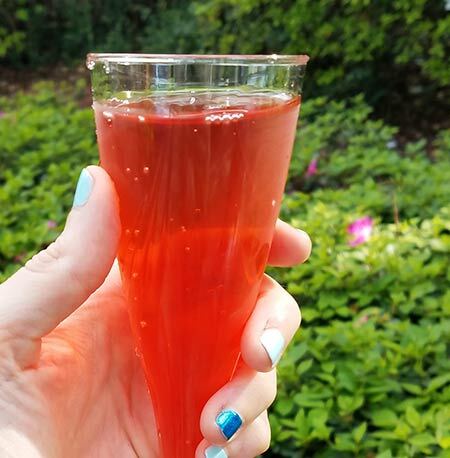 Tasting Report: A great drink on a hot day, but beware. 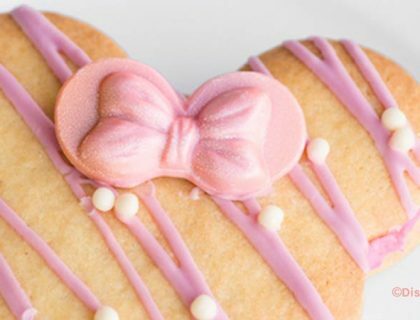 At a cost of $11.75 and with such a small portion, you may want to skip this for our next drink. 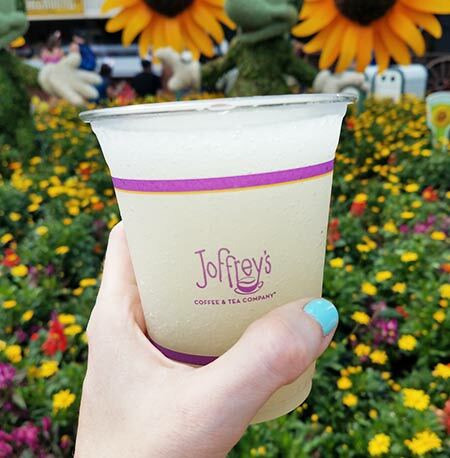 Sipping on this Frozen Lemonade with Pineapple Rum while wandering the American Adventure. Tasting Report: Yes, yes, a million times yes. At $9.99 we highly recommend this large cool drink of frozen water with lemons and a coconut kick. Strawberry Lemonade Cocktail with Sake, Strawberry Purée and Lemonade sounds great, in theory. 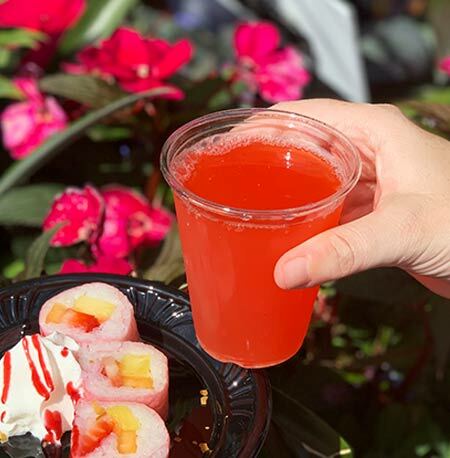 Tasting Report: We stopped at Hanami for the Frushi, and gave the Ichigo Sun a sip. Not a fan. It was too sweet, and between three of us, no one really enjoyed this drink. When you’re in Morocco, you drink in Morocco. 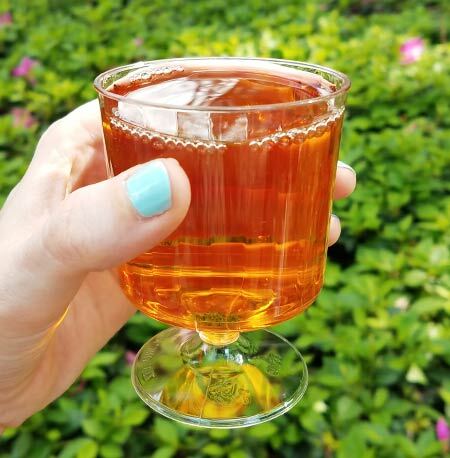 Tasting Report: We had a delightful memory of the Desert Rose from 2018’s Flower & Garden Festival, but after the first sip we wondered what made us love this so much. The White Sangria was the better option. 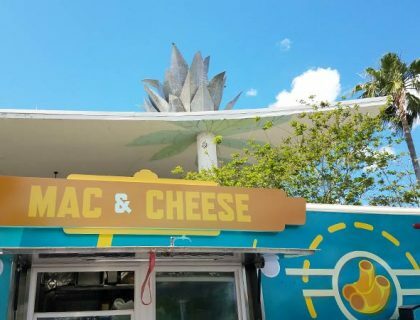 Florida Fresh, a Mouse Memos top spot for sipping and relaxing at Flower & Garden. Tasting Report: We ordered the Beer Flight and the Key Lime Wheat was amazing, so we went back for seconds. 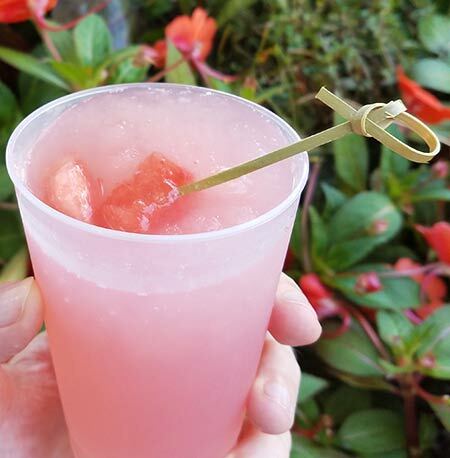 We also ordered more than one Watermelon Cucumber Slushy with and without Gin, which is always a Flower & Garden fave for us. 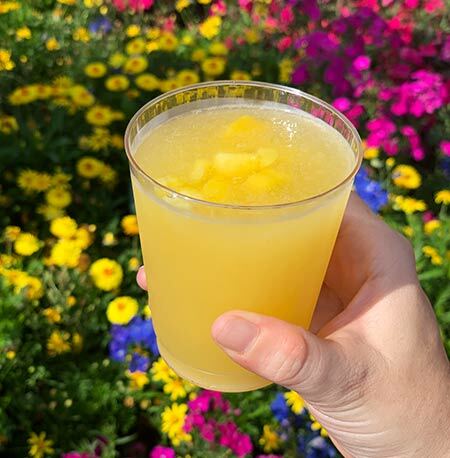 Put the Pineapple Promenade on your Must-Drink list toot-sweet. 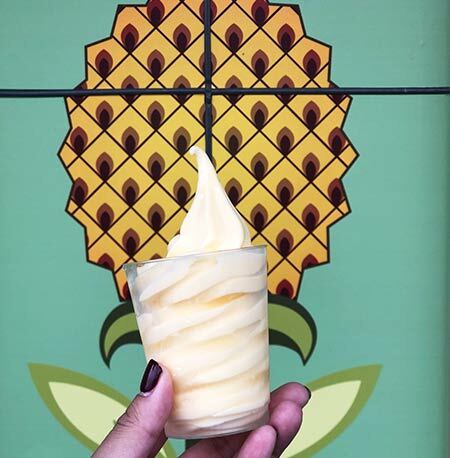 Tasting Report: People, we’re talking about an alcoholic Dole Whip here. 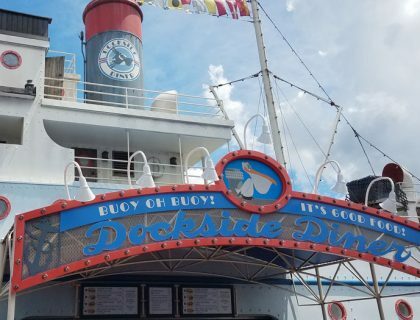 Of course we loved it! 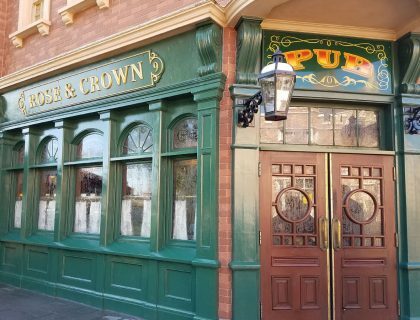 Well there you have it, everything we drank on our Sipping Tour Around the World. And don’t worry, of course we took an Uber back to our resort. 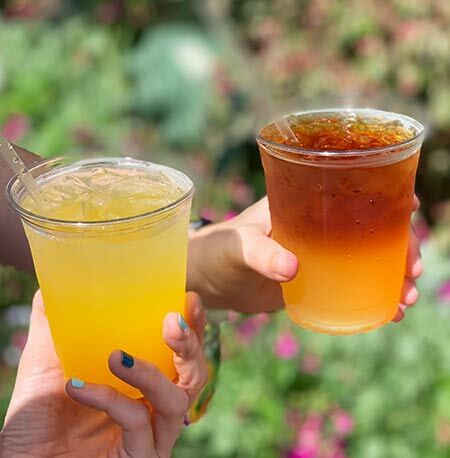 What was your favorite drink at this year’s Epcot International Flower & Garden Festival?